Hold onto your hats because this post is going to get a little crazy. And when I say “crazy” what I really mean is “confusing”. The kids’ bathroom and the guest bathroom are both in the same hallway. 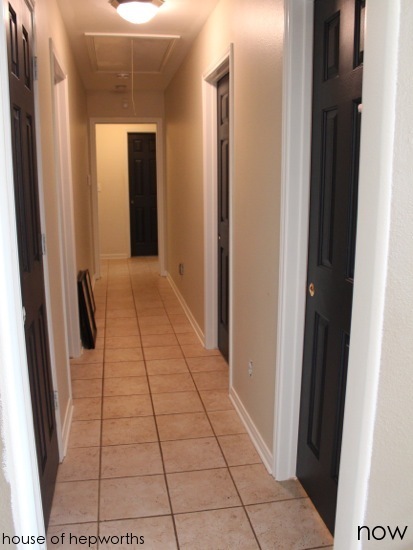 The kids’ bathroom is the first door on the right, and the guest bathroom is the last door at the very end of the hallway. 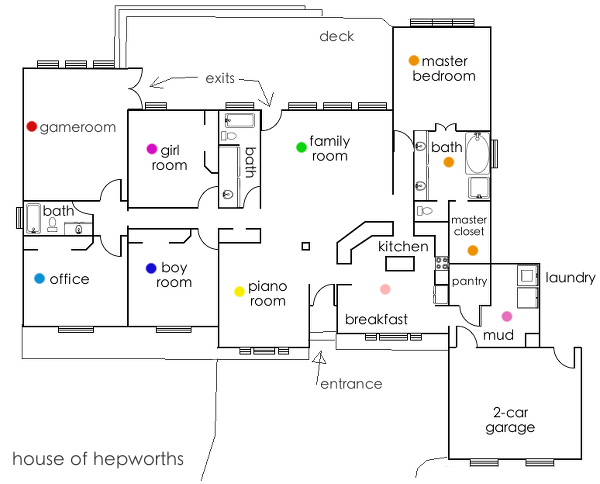 The kids’ bedrooms are sandwiched between both doors (the 2nd door on the left and the 2nd door on the right). Here’s the floor plan to help get you oriented. 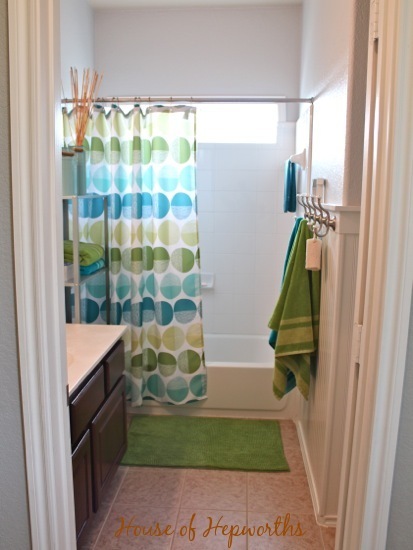 And as a refresher, here’s the guest bathroom. I’ve actually mentioned the guest bathroom at the end of the hall several times. Most recently I removed the big cabinet above the toilet. Well guess what? Guests never go to the end of the hall to use the restroom. I guess they feel weird wandering all the way down the hall? It’s probably because the bathroom right next to the living room seems like the logical place for a guest to freshen up. And my kids aren’t exactly the shining examples of neat and tidy. In fact, on any given day there is usually toothpaste smeared on the counter, toothpaste splatter on the mirror, my daughter’s hairbrush and accessories strewn about the counter, and dirty clothes on the floor. Not exactly the most inviting environment for a guest. I’ve been hesitant to swap the bathrooms because the other one seemed too far away for the kids. Also, the bath at the end of the hall is smaller than their bathroom and I wasn’t sure about making them share such a small bathroom. But I’d finally had enough and figured I might as well try it out. An hour later and they were officially swapped. I’ve actually never even showed you this entire bathroom. We have a single sink with a really long counter, and the toilet and shower are in a separate room. 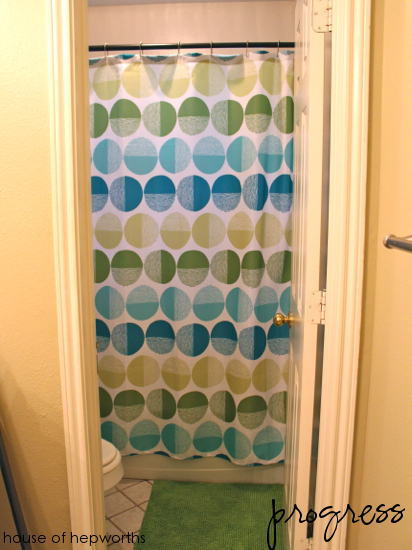 I took that 2nd bathroom door off though shortly after moving in because it was really cumbersome and annoying. 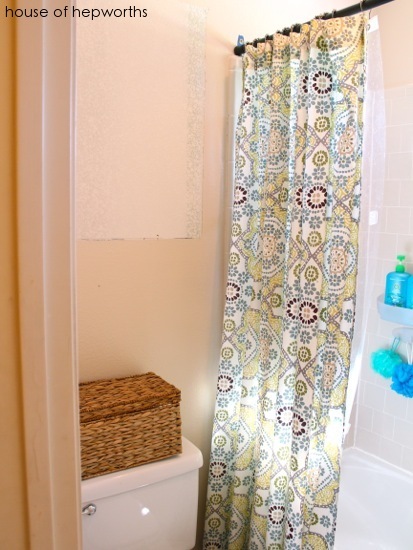 The shower and tub are pretty much the exact same as before except now they have the guest room curtain. 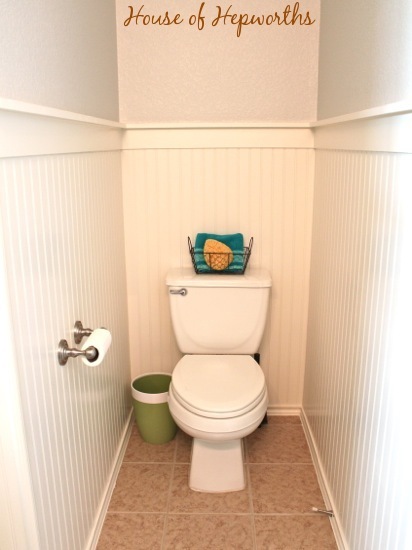 This was a hard angle to photograph, but there use to be a cabinet above this toilet as well. Fortunately for me Ben was actually home to help me take it down so I didn’t have to do any bin stacking or anything. 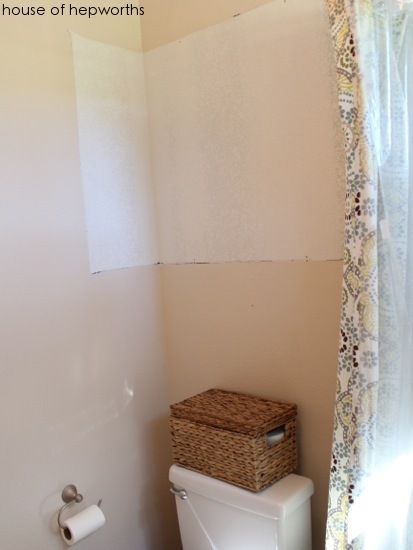 Here’s one more awkward view above the toilet to show you where the cabinet use to be. It was big and awkward and I didn’t take a single “before” shot. Use your imagination. 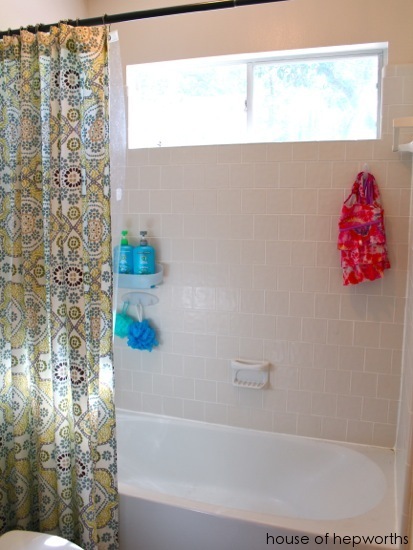 And here’s the old guest bathroom which is now the kids’ bathroom. We’ve had this setup for about a week now and it is actually working GREAT having the kids in this bath instead. No issues at all so far. They have a lot less counter space to mess up which is a plus and the new guest bathroom has stayed spotless since the swap (double plus!). 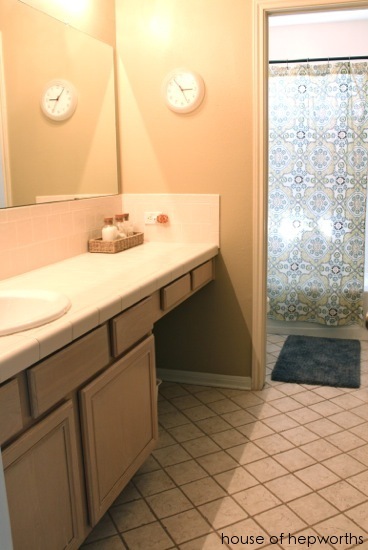 The layout of this bathroom reminds me so much of their old bathroom. Now I’m really getting a hankering to put up beadboard in here. 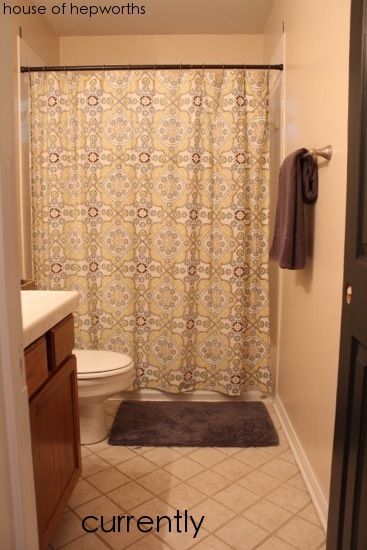 I pulled some photos of their old bathroom and I just died a little inside. It was so beautiful, and so much work, and we only got to enjoy it for 3 months before moving. Sniff. Amazing, right? One of my favorite spaces in our previous home. 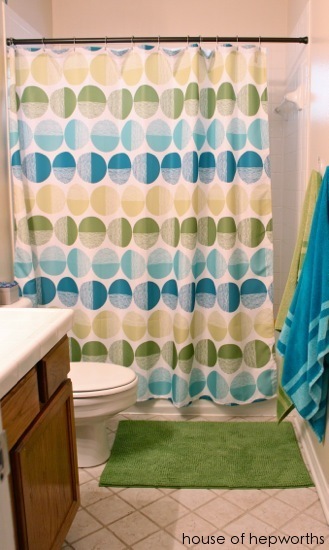 (You can check out the entire bathroom here.) Okay… back to reality. Sorry for derailing there. 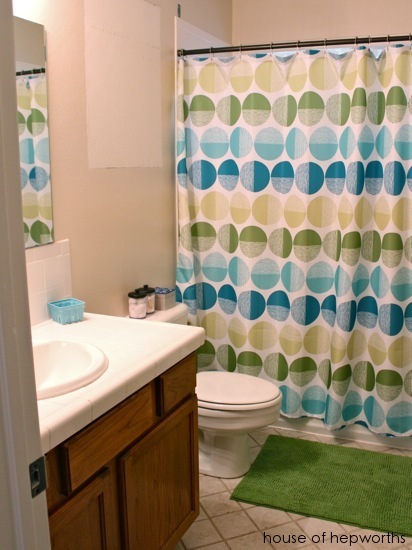 I just got all sad and nostalgic seeing that amazing bathroom again. I can do it again though! Was all of that flip-flopping too confusing or did you get the gist of it? To sum it all up, we switched the kids’ bathroom and the guest bathroom. 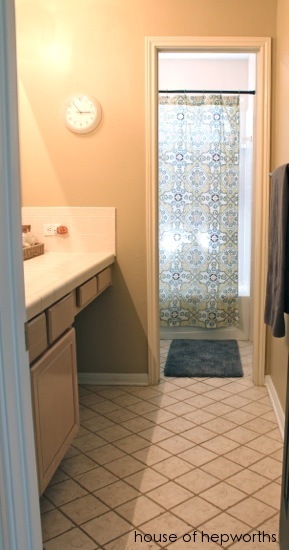 And I miss their old bathroom at the old house. But I’ll make their new bathroom even more fab. Just you wait. Love the ‘flip flop’. 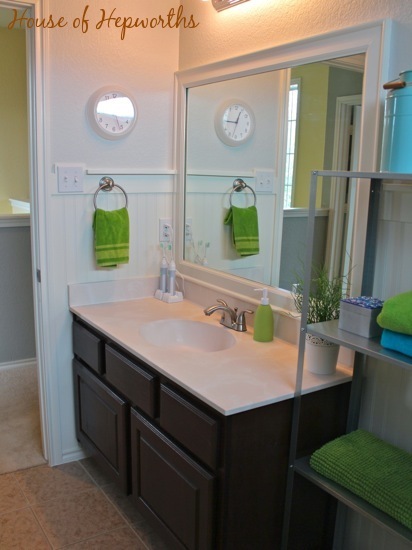 Your new bathrooms will look even better than your old ones, can’t wait to see the transformation of this house. You are doing such a great job. 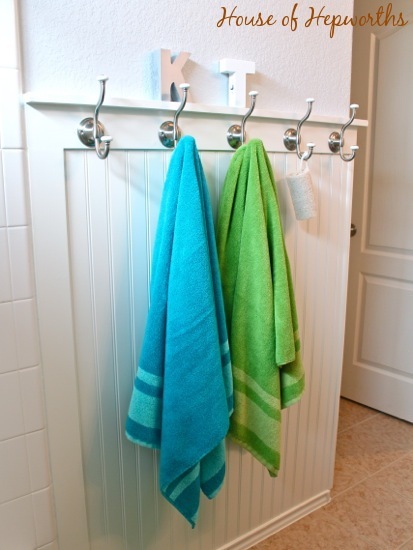 And I noticed that the colorful hooks from the last post would look great with the new kids bathroom. Thank you! I get a little depressed thinking about how I’m starting all over again, but this is our forever house so I try to keep that in mind. With two bathrooms, aren’t the kids asking to each have their own? I guess they could, and maybe eventually they will, but that is just more mess for us to clean up! I look forward to seeing what you do in your new home. I wish you could post more often. Awe, thank you! 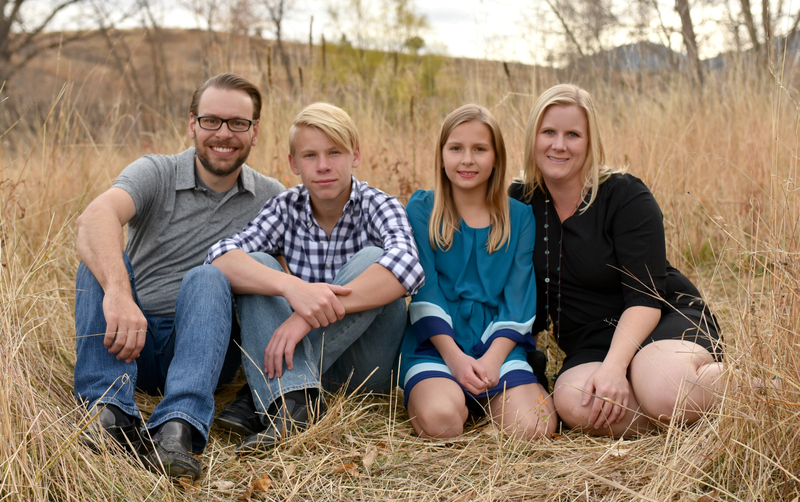 I hate that I haven’t posted much lately at all, but I am so crazy-busy all of a sudden with the kids. I never expected so much stuff to pop up the past few months! I’ll make a better effort to post 3x a week. It’s hard!